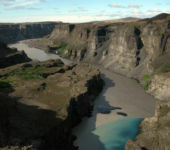 This tour includes Húsavík, Jökulsárgljúfur and Mývatn area. And much more! 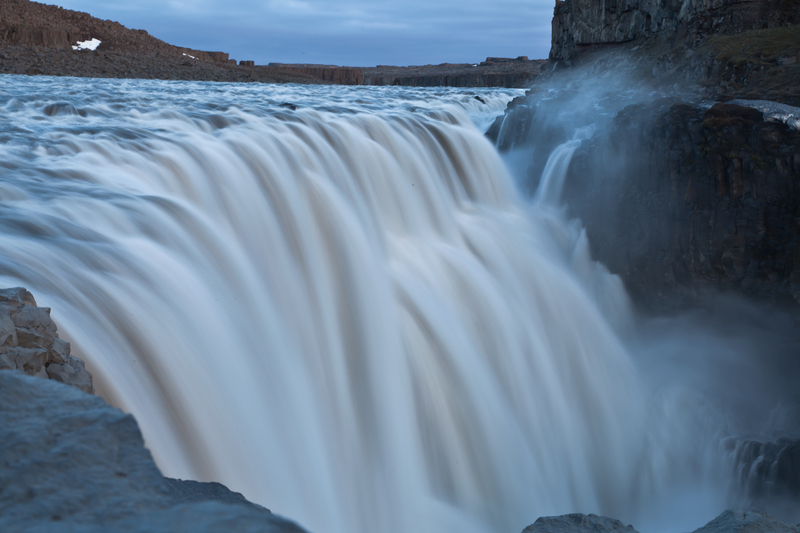 This tour is all the season and its core consists of 3 days in the actual Diamond Circle, which includes Húsavík, Jökulsárgljúfur and its waterfall and canyons, the whole Mývatn area and Goðafoss. Anyway, the adventure can be extended further east, further west and even down to the gate and deep into the wild highlands to experience all the beauty of the North. Meeting point is Húsavík, but with option of pickup in Akureyri (airport or another agreed place). This package is also available with domestic flight and with extra nights or extra days. 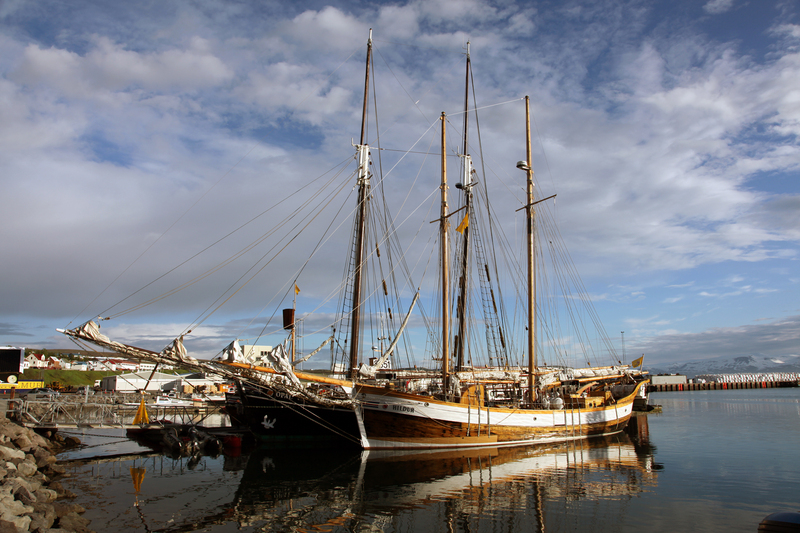 Please note: we suggest to spend all or most of the nights of the itinerary in Húsavík, as we consider our town the best place to experience local life in a traditional and beautiful port town. Also, the free evenings can be easily filled, with the chance to enjoy local food, the local brew and relax at GeoSea thermal baths on the top of the cliffs on Skjálfandi Bay. Other activities are seasonal, such as town festivals and various events, and northern lights hunts. After meeting with the guide, on this day we visit Goðafoss and then head to Grenjaðarstaður, which is an ancient farm, church site and place depicting Icelandic culture from earlier times (in a turf house). The river Laxá flows from Lake Mývatn through the valleys of Laxárdalur and Aðaldalur to Skjálfandi Bay were Húsavík is located. During this part, we will explore farmland and get a bit to know about culture and folklore. We head then to Húsavík. Sea tours (whale watching) are available almost all year round. We explore the town, visit museums and enjoy local food. In late afternoon is time to check-in at a hotel in Húsavík. Overnight in Húsavík. After breakfast we follow the coastline of Tjörnes peninsula. On our way we make a few stops, varying depending on interests and circumstances. 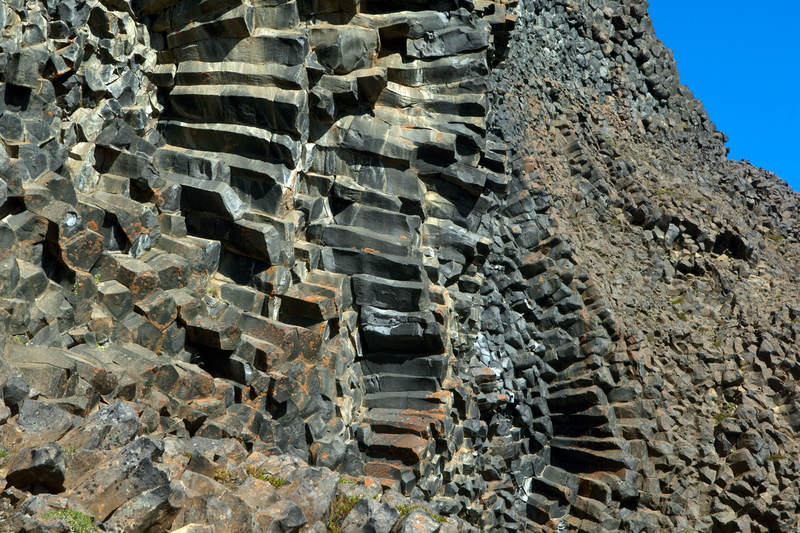 On the coastline of Tjörnes peninsula are some of most remarkable fossil layers in Iceland. These are sandstone layers which were formed at the end of the Tertiary period and during the Ice Age. From these fossils it is possible to trace changes in climate, vegetation and marine life from the beginning of the Ice Age. We then head east towards Kelduhverfi, south of Öxarfjörður bay, and continue to Jökulsárgljúfur. 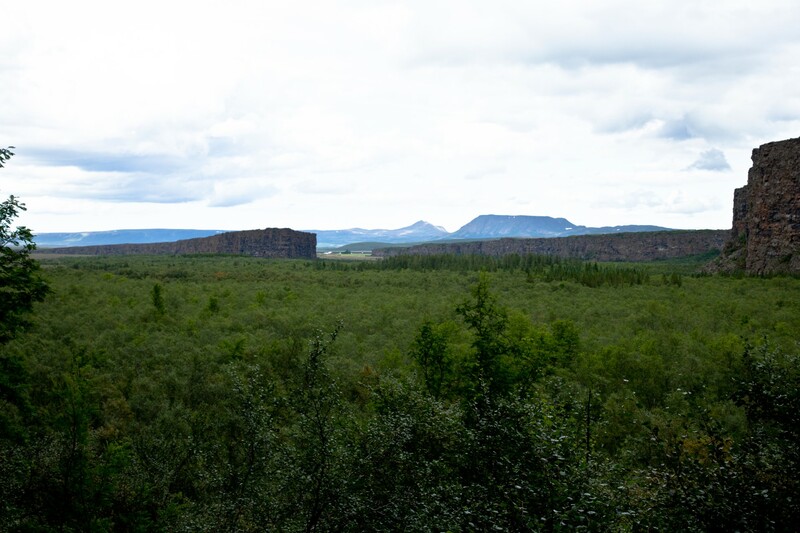 While at the National Park we visit the impressive Ásbyrgi canyon, then we take a road to Vesturdalur and Hljóðaklettar for exploring the wildest area of the park. Finally we continue to Hafragilsfoss and Dettifoss, which is considered as most powerful waterfall in Europe. We head back to Húsavík following the same road, which gives us the chance to make more (or second) stops for more sceneries and panorama with the afternoon/evening light. Overnight in Húsavík. Today, we head to lake Mývatn and spend the day exploring the wonders of its surrounding area. 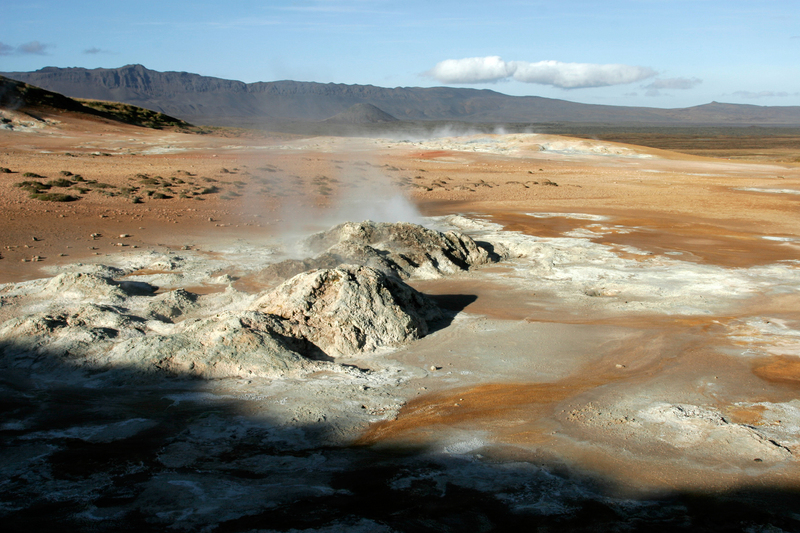 We start our day by going to Krafla, geothermal area where one of Iceland’s volcanoes is located (here erupted several times between 1975 and 1984). 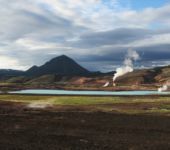 After visiting the crater Víti, and viewing Leirhnjúkur and the newest lava nearby, we head back to Hverarönd (or Hverir) by Námafjall: an area of ever-changing hot springs. 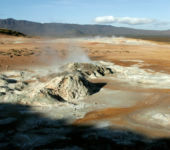 Krafla and Námafjall are connected, on the same row of volcanism, linked to tectonic plates. From here we go to the unique Grjótagjá, ensconced deep in the rocky rift formed by the two separating tectonic plates, and Dimmuborgir, an area of randomly strewn lava rocks and cliffs. We keep on around lake Mývatn, with selected stops, like Kálfastrandarvogur, featuring lava rocks, and Skútustadagígar, craters that were formed by gas explosions when boiling lava flowed over the wetlands. After enjoying the area for a while, we will be heading to Sigurgeir’s Bird Museum, the largest known private bird collection in Iceland. There is also a small “boat house”, which give good option to see and learn a bit about local culture and about the connection between men and nature, here in closeness with the lake. 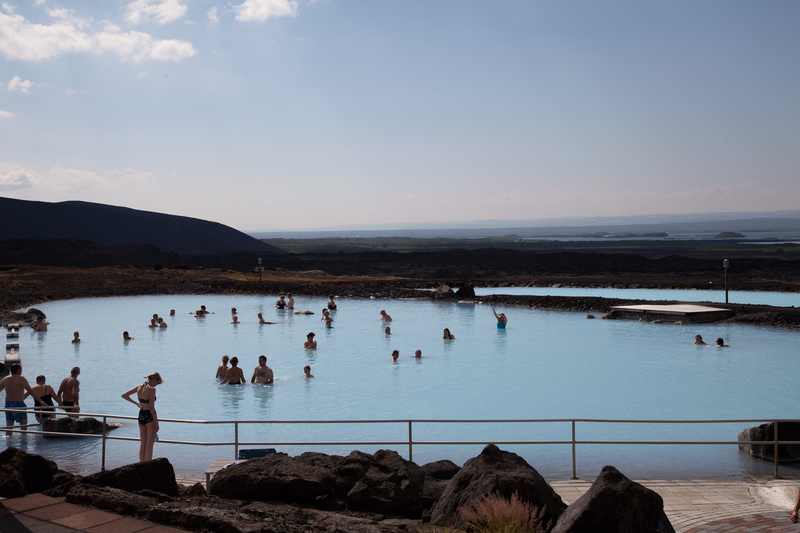 In the afternoon, it is possible to relax in the milky blue waters of Jarðböðin, thermal baths surrounded by lava fields. The program ends in the afternoon at same location where we started on day 1, or at another agreed place. Alternatively, the program continues with one, or more, of the following days. In such case, on day 3 we return to Húsavík. Overnight in Húsavík. Please note: all the following days – A to AA – can be chosen singularly or anyway independently from one another. Today we focus on one of the most forgotten regions of Iceland, probably the most forgotten overall, the “Arctic Fox plain”, Melrakkaslétta, where a charming and striking atmosphere of abandonment lingers everywhere. This day, though, has much to offer in terms of bird life – in the spring and early summer – and interesting scenery and local topography – all year round. 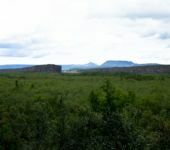 In the course of the day, we stop at various sites of interest, starting from Kelduhverfi plain, where to observe some impressive fissures of the mid-Atlantic ridge. Then, the tiny village of Kópasker on Öxarfjörður is the western gateway of Melrakkaslétta. The northernmost strips of the peninsula is where we visit the isolated cape of Rauðinúpur, a red shade ice age volcano and unique landmark, and the dramatic lighthouse of Hraunhafnartangi, only few hundreds meters away from the Arctic Circle. Only a few kilometers from the lighthouse stands Raufarhöfn, the northernmost village of Iceland, with a herring fishing’s past. Here, the mysterious Arctic Henge is an unmissable last stop before heading back to Húsavík. 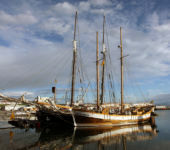 If the program continues, overnight in Húsavík. Alternatively, it is possible to match day A and AA. In such case, we handle this day at a slower pace, dedicating more time to each location. Overnight in Raufarhöfn. Þórshöfn is at the base of Langanes peninsula, on the northern side. From there we start the day moving into the goose shaped peninsula, the highlight of the day. At the tip of it we visit Fontur, a lighthouse which seems to be at worlds end. On the way, we also stop at the impressive cliffs of Skoruvíkubjarg, a paradise for bird lovers for some of the largest colonies of Brünnich’s Guillemots and of Gannets, and the abandoned village of Skálar which brings us back to times that once were. Back to Þórshöfn we slowly start our way back to Húsavík driving along the coast of Þistilfjörður, but there is still so much to see. 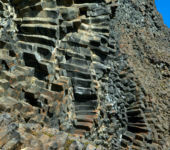 At Rauðanes cape we stop for a short coastal hike that discloses magnificent oceanic panoramas and bizarre rock formations, natural arches, stacks, caves and secluded beaches. Also, we visit the leader-sheep exhibition, nicely designed in an old farm, about the ancient and unique breed of Icelandic sheep, known for their leadership characteristics, sense of direction and uncanny weather prediction. If the program continues, overnight in Húsavík. Today we first head to Akureyri, the capital of the North, which hosts a beautiful botanical garden and has a relaxed atmosphere. From there, we dive into the rugged peninsula of Tröllaskagi lying west of spectacular Eyjafjörður. On top of the peninsula, Siglufjörður is framed by steep mountain slopes on three sides and by the water of a small fjord on the fourth. The location is extraordinary and the feeling of almost total inaccessibility gives even more charm. Siglufjörður also hosts one of the finest museums of all Iceland. 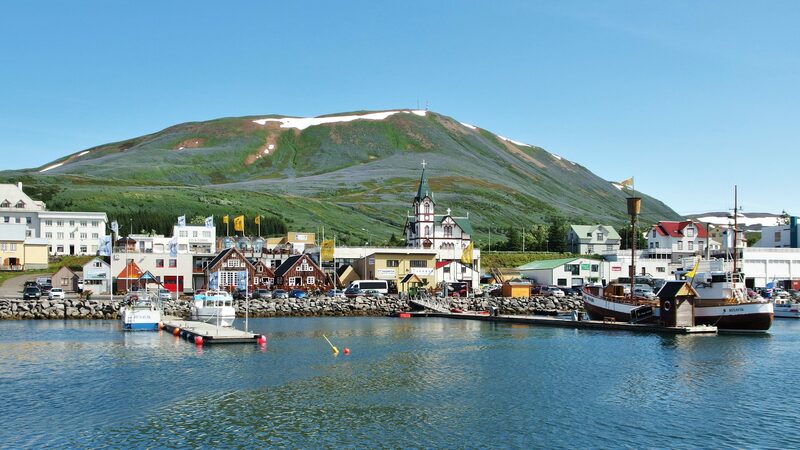 The Herring Era Museum successfully recreates, in several beautiful buildings along the main street, the life of the town in its golden age, which is to say between 1867 and 1968 when Siglufjörður was the herring fishing capital of the whole world. 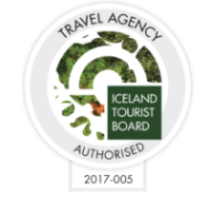 Other highlights of our day are the lovely towns of Ólafsfjörður and Dalvík, and the tiny Árskógssandur – where to visit Kaldi, the first microbrewery of the country, and, why not, enjoy the local beer spa – and Hauganes – where the restaurant of the Baccalá’s king is located. In the afternoon we head back to Húsavík. If the program continues, overnight in Húsavík. Alternatively, it is possible to match day B and BB. In such case, we handle this day at a slower pace, dedicating more time to each location. Overnight in Siglufjörður. From Siglufjörður we start the day heading west and getting the first glimpse of Skagafjörður just after few minutes from the departure. The fjord is enchanting and the two small islands of Drangey and Málmey are unmissable landmarks. The first town we encounter is Hófsos, known for what is probably the most scenic swimming pool in Iceland, located on top of the cliffs over the sea. Not far, we visit Hólar, a tiny village which is amongst the main historical sites of the country, for many centuries an Episcopal See, and now hosting an agricultural school since 1882. We continue our day towards South, but before reaching the Ring Road we visit Glaumbær, the most iconic turf roof farm, and Víðimýrarkirkja, a pretty black little church, very close to Varmahlíð. From there we start our way back to Húsavík driving across Öxnadalsheiði, mountain pass flanked by beautiful valleys and bizarrely rugged mountains. If the program continues, overnight in Húsavík. We start this long day heading to lake Mývatn and from there we drive road 1 towards the impressive crater Hrossaborg, where we turn on road F88 (inland gravel road). After a while, we across the rivers Grafarlandaá and Lindá and have break in the nature reserve Herðubreiðarlindir, at the feet of majestic and iconic Mount Herðubreið, where the green oasis is an unusual sight in the barren highlands. We then head to Dyngjufjöll (circle of mountains where Askja is located in). 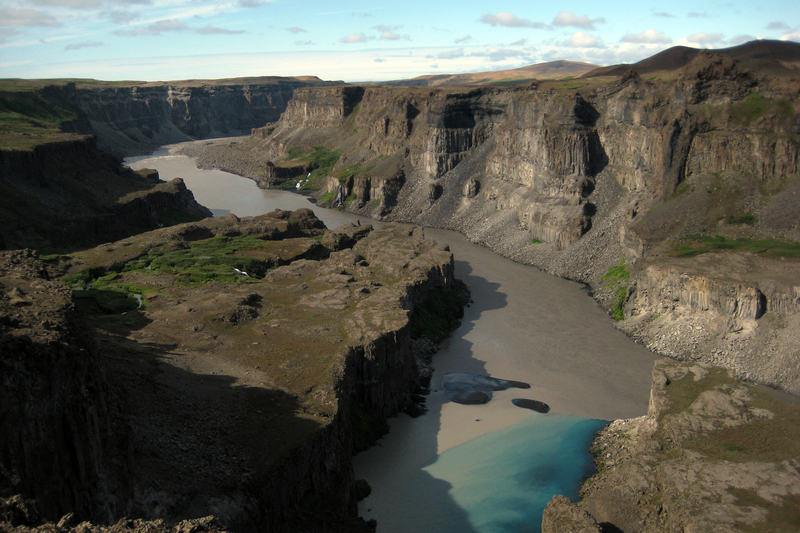 First is stop by the canyon Drekagil, and then the caldera Askja. From the parking by Vikraborgir (craters), is a 2,4 km walk to the lake of Askja and the crater Víti. The way back to Húsavík is long but always spectacular. If the program continues, overnight in Húsavík. 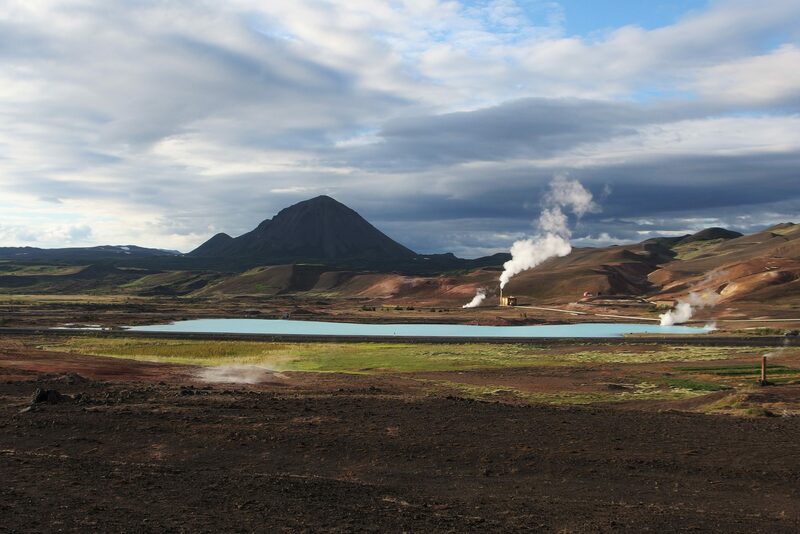 We start the day with a short drive from Húsavík to Þeistareykir, a colourful and geologically interesting geothermal area where one of the main power stations of northern Iceland is located. First we explore the lava field covered in moss where lava tunnels of all sizes are hidden, then we move towards the martian Mount Bæjarfjall surrounded by steamy hot springs and fumaroles and further east to the remote area of Gjástykki, rugged and harshly beautiful rift zone which shows the power of nature in its most primordial feature. Gjástykki was blown apart during the eruption of Krafla dating 1975 to 1984. From the otherworldly landscapes of Gjástykki we head back towards Skjálfandi Bay, in particular towards the mouth of Laxá river. Not far from there a waterfall lies hidden and unknown, Æðarfossar, and beside it an endless black beach spreads to the southern bottom of Skjálfandi bay. In order to get a good view over it we drive to the highest point of the cliffs, Ærvíkurbjarg. Short drive back to Húsavík. If the program continues, overnight in Húsavík. Departure point: Travel North office. Pick up available in any other place in Húsavík, or in Akureyri, Mývatn or other locations, upon request. Tour duration: 3 to 9 days. 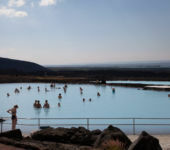 Included: pick up and drop off at agreed points, transportation and private guide for the duration of the tour, fuel, number of overnight stay in hotel with breakfast (double room accommodation) for the duration of the tour, number of dinners for the duration of the tour, lunch packages for days 2 and 8, entrance to Mývatn Nature Baths and GeoSea, entrance to Húsavík Whale Museum and Sigurgeir’s Bird Museum, one activity depending on seasons and preference (for example – whale watching: May to September – horseback riding: October, November and April – showshoeing: December to March – northern lights evening tour: October to March). Not included: international flights, domestic transports to/from agreed pick up and drop off point, drinks, anything else not specified as “Included”. Bookings: please use the form below. For bookings of 4 people or more, please contact us before booking. For private tours and special requests, please contact us.